After years of innovative thinking and experiments, theV-CUBE 7 was born. A seven-layered cube with 218 cubies, measuring 3.27" oneach side, this revolutionary design created a cube perfect for puzzle loverslooking for a challenge. 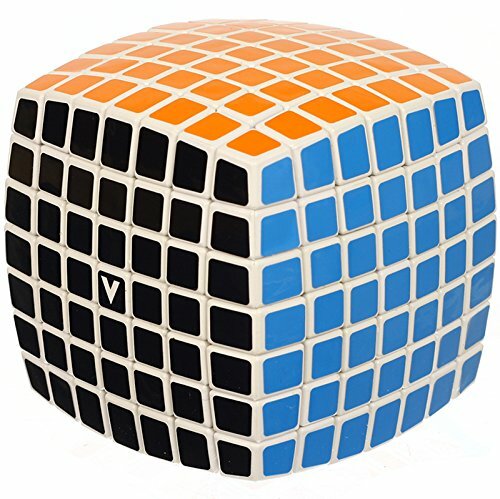 Only with intelligent strategies and cultivated cubesolving techniques will the V-CUBE 7 give up its secrets. Solid-cross internalmechanisms and an innovative design create a smooth solving experience. Fromthe Manufacturer The V-CUBE 7 is a uniquely designed and constructed skillgame. It is a multi-colored, seven-layered cube, rotating smoothly on basedaxes.